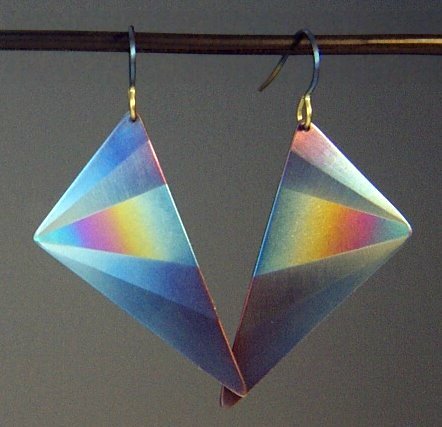 MrTitanium: Item: Triangular Earrings w/Fan and Rainbow. Tri04: Triangular Earrings w/Fan and Rainbow. These sit on the boundary of classy and playful. The wash of blues along the light-catching fan sets of the bright rainbow quite nicely.